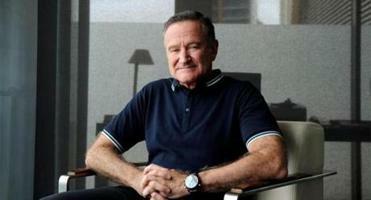 Academy-Award winning actor Robin Williams has died at age 63. He was pronounced dead at his home in California on Monday, according to the sheriff’s office in Marin County, north of San Francisco. The sheriff’s office said a preliminary investigation shows the cause of death to be a suicide due to asphyxia. The legendary actor graced both the big and small screens during his decades-long career. In the late 1970s and early ‘80s he became well-known for his comedic character Mork on the TV sitcom “Mork & Mindy,” later also tackling dramatic roles in films such as “Dead Poets Society” (1989), the locally-filmed “Good Will Hunting” (1997), and “August Rush” (2007). He won the Academy Award for best supporting actor for “Good Will Hunting,” and prior to that he was nominated for best actor in a leading role for his character in the war-comedy film “Good Morning, Vietnam” (1987), in which he showcased his rapid-fire, stream-of-consciousness comedic style as a radio DJ, mostly improvising his broadcasts. He recently starred in the TV series “The Crazy Ones” and was scheduled to reprise his role as Daniel Hillard in the comic film “Mrs. Doubtfire 2” in 2015. Here’s a look at just a few of Williams’s many memorable moments during his successful career.